We are a well-trusted manufacturer, exporter, and supplier of Ear Loop Welding Machine in Jiangsu, China. 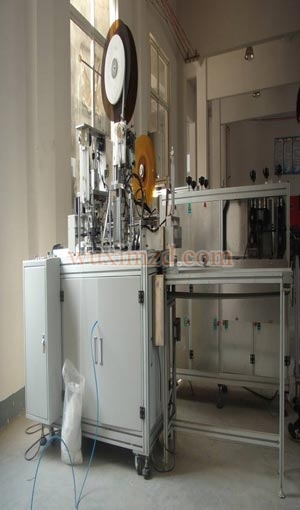 This machine has a wide range of applications and is hence in high demand in the global market. We offer this Ear Loop Welding Machine at prices that are little lower compared to others and ensure timely delivery. We are taking orders from any corner of the world. If you have a bulk requirement for Ear Loop Welding Machine, we are the name to reckon.